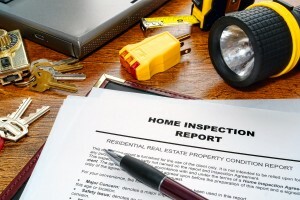 Suffolk County Home Inspector Experts - Top NY Home Inspection Co. When you buy a car, you take it for a test drive. You check up on its performance and safety ratings. If you are thinking about the purchase of a home, obviously you cannot take it for a test drive like a car. There are no performance or safety ratings published on that house like with cars. So, how can you be certain the house is safe and in good shape “under the hood” – in areas you can’t necessarily see? You can order a thorough home inspection by reputable Suffolk County home inspectors that have been performing quality inspections locally for years. We have been inspecting residential homes and commercial properties across the 631, 516, 718 and 212 area codes for more than 25-years. We have built a first-rate reputation as meticulous, ethical, and highly-skilled professionals. We offer a broad range of services to help you make an informed decision about a house whether you are buying or selling. Clients receive a confidential and comprehensive report detailing our assessments of the structure. All of our technicians are exceptionally well trained, ethical, and reliable. 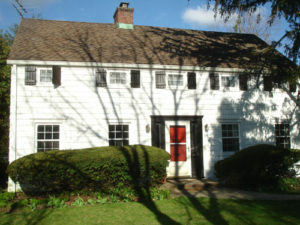 We are the leading home inspection firm in Suffolk County and Nassau County, Long Island and beyond. After almost three decades in the home inspection industry, our reputation is unparalleled across our county. Our company is New York State licensed and certified by ASHI and InterNACHI. We have completed thousands of inspections in our area. Whether you are purchasing, building, or selling, knowing the condition of a structure can be critical. You will want to know if there are any issues or areas of concern with your new pad before you buy it. A detailed inspection of the structure and its major systems conducted by one of our qualified technicians can provide valuable information regarding the condition of the property. We inspect everything properly and completely from pipes, plumbing, electrical, mold, decay, stains and more. Seller Inspection: Before a sale, If you are selling with a real estate broker here on Long Island or privately, you would be very wise to get your house inspected first. 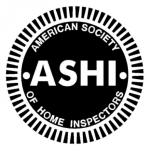 We’ve been in the business for years and have completed many inspection packages, so please trust us when we tell you it is better to order a Pre listing home inspection rather than waiting for a potential buyer to order their own and uncover a problem. When it comes to the condition of your residential property, surprise issues could mean losing an offer from a potential buyer. Identifying issues ahead of listing your property allows you the opportunity to either address them before listing or providing disclosure to any potential buyers. Doing this lets you set the selling price accordingly or provide full disclosure to potential buyers. Buyer Inspection: If you are purchasing a home or property, knowing the quality of what you are buying is critical. 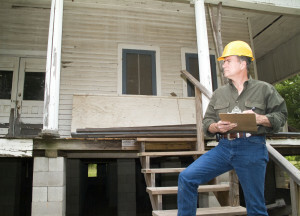 A buyer inspection by a highly reputable Long Island home inspector allows you to make a fully-informed decision as to whether you would like to continue with a purchase, re-evaluate your original offer, or back out completely. A thorough pre-purchase assessment will identify any issues of concern and the possible costs involved in re-mediating them. New Build Inspection: If you are purchasing a newly-built house or any real estate, it is prudent to have a thorough new-build inspection done before taking possession or closing on the house. It’s not uncommon for something to turn up on a new-build analysis – usually along the lines of something installed incorrectly or not at all. In addition to our reviews, we take great pride in our written reports. Each of our home technicians understands the importance of these highly-detailed, written reports. After a comprehensive assessment of the structure, the client will receive a report of all our findings. Any areas of concern will be photographed with precision and included in the written report. Customers are encouraged to attend the inspection, and we will gladly answer any questions that a client may have. All of our inspections are completed with all of the different Long Island codes in mind, we make sure the structure is in compliance. We will point out the positive as well as any areas of concern with the structure and offer suggestions or solutions for long-term maintenance or remediation of the issue. Our reports are prepared solely for the client, and all of the information contained within a report will remain confidential. We will provide additional copies of your inspection report as needed. We offer our standard packages for all of our clients, but we can also tailor our service to what suits you. For example, sometimes some of our existing or new clients will request only a termite report as they might not be buying or selling their residence or property but rather just want to stay informed of what is going on within their abode. We go as far east as Montauk and as west as NYC. 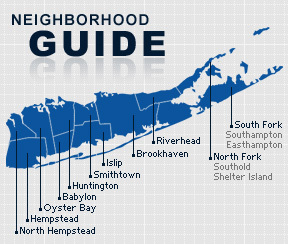 We service both major counties of Long Island, Suffolk County, and Nassau County, NY. We also cover Queens, Manhattan, and Brooklyn as well. As you can see by our customer reviews and ratings, we are a 5-Star home inspection company, and we intend on keeping it that way! In our early days we stayed to our local area of Southampton, Westhampton, Remsenburg, Bridgehampton, East Hampton, Riverhead, East Quogue, Sag Harbor, North Sea, Watermill, Sagaponack and other areas within “The Hamptons”. As time went on we realized we had a duty to the entire Long Island area to expand our services. That means we adhere to a certain standard and quality of work that is second to none as well as friendly and supportive customer relations. We are here to help you every step of the way, just let us know how! Announcement: We have just recently opened a separate location for our senior Huntington home inspector professionals. He’s been with us now for over 10 years and the promotion was well deserved. If you should stop in make sure you congratulate him! We inspect just about every area of Long Island home inspection services including attics, basements and crawlspaces (if you have them), the interior of the home as well as the exterior, mechanical systems and all the structural components that make up your property. When we are done you can rest assured that we have done a thorough job!